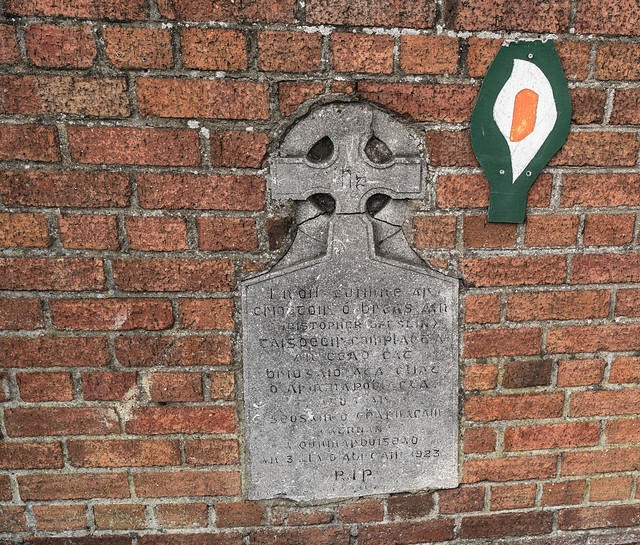 During my walking tour of Cabra I came across this memorial which I had never noticed before. It could be best be described as stone plaque surmounted by a Celtic cross, built into a red brick wall. The wall may be more recent than the memorial which looks as if had been relocated and damaged as a result. The memorial relates to the Irish Civil War and unfortunately the inscription is faded and not easy to read.